Here...at long last...we have it. This is a new type of endgame book. It is a book which explains how to handle those positions that frequently occur in practical play but, curiously, are hardly ever the subject of theoretical works. Most endgame books rely on recycling the established theory on basic positions or concentrate on fantastical studies. This one is different. 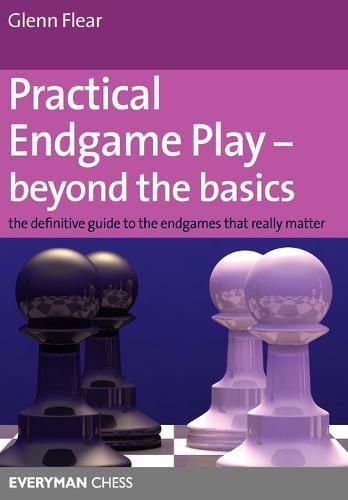 Well known grandmaster and endgame expert Glenn Flear examines all endgames which feature precisely two pieces for each side. Why is this an important subject? Because these situations arise surprisingly frequently in practical play. For example, an examination of any big database will reveal that the endgame of rook and minor piece versus rook and minor piece arises in nearly 20 per cent of games. That means that if you open with 1 e4, you are more likely to reach one of these endgames than you are to face the French Defence, and overall, every time you sit down to play a game of chess, there is nearly a 50 per cent chance that you will reach one of the endgames covered in this book. If you can handle such endgames well, your results will inevitably improve. This book will show you how.